I guess it’s that time again, eh? Here’s the stuff I wrote or was involved with in 2015 that’s eligible for various award-type nominations, if you’re into that kind of thing. 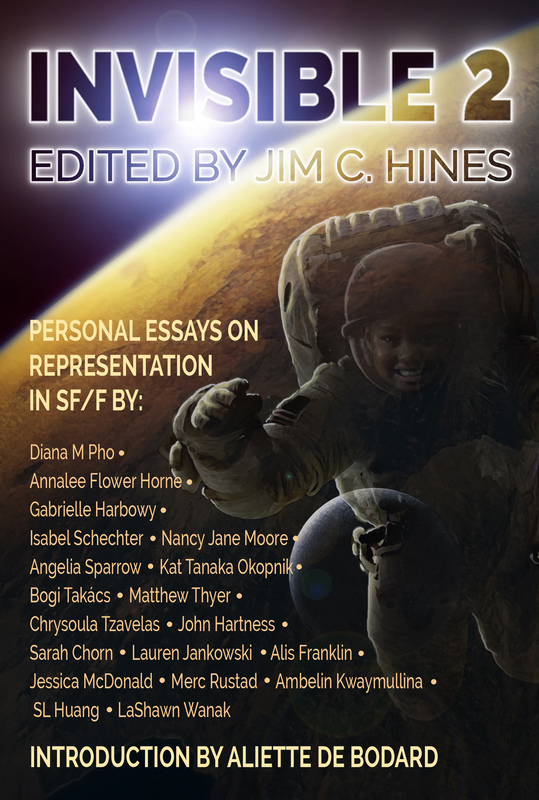 Invisible 2: Personal Essays on Representation in SF/F, with an introduction by Aliette de Bodard, is eligible for the Hugo Award in the Best Related Work category. The first volume, Invisible, would have almost certainly made the ballot in this category last year, if not for various slate voting campaigns. 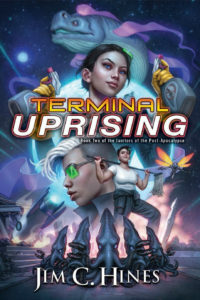 I believe this year’s volume is just as strong, with even more content. Almost all of the essays started as 2015 guest blog posts, and are available to read for free online. Unbound and Fable: Blood of Heroes are both eligible for Best Novel nominations. 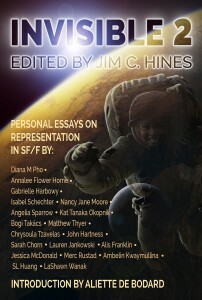 In the Short Story category, my story “Girls in the Hood” came out last year in Chicks and Balances. And that’s it for me. If you only have the time or energy to consider one thing, I’d suggest Invisible 2. The contributors wrote some amazing and powerful essays, and I think the collection is both important and timely. Whatever happens, if you’re eligible to nominate for various awards, I’d encourage you to do so. I bought a supporting membership last year after learning they exist. This year is my first year being eligible to nominate, how does the process work, do I get an email telling me to use an online form or what? I believe they should contact you when nominations open, but if not, when the whole internet explodes about Hugo nominations being open, you should be able to check the Worldcon website for details. I love these posts, not only because sometimes I miss things that my favorite authors have written (just bought Chicks & Balances to read this evening! ), but because I wouldn’t always know which categories to nominate assorted works in, and I’d hate for a nomination not to count because it was made in the wrong category. Thank you, Jim. I really liked Invisible 2. It’s on my list. I own all of those except Fable.